Dust off that old Nintendo and haul your prized collection of games out of the closet. National Video Game Day happens on July 8! (Its cousin, National Video Games Day, is Sept. 12.) 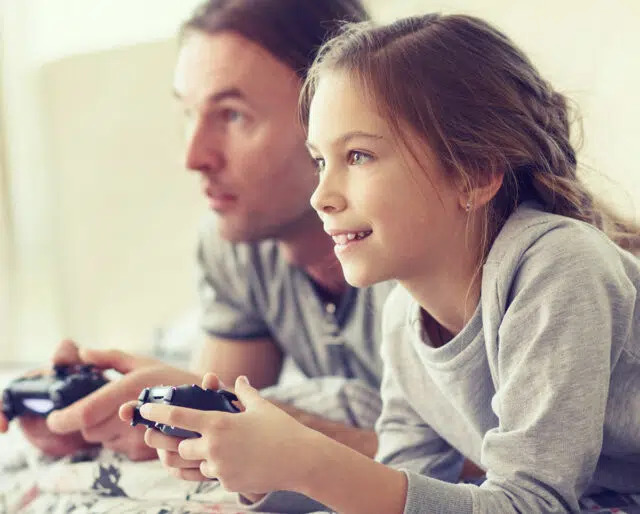 Primarily used for recreational purposes (although professional gaming leagues do, in fact, exist), video games have exploded in popularity over the last few decades. They’re exciting, invigorating, and most importantly — not just for kids. The very first video game ever invented involved simple table tennis. Today, there are over five million games in existence. From high-speed racing adventures to perilous virtual dueling matches, there’s a genre for everyone to enjoy. Take a sick day from work (or if your boss is super chill – just let him/her know you’re calling out because it’s Video Game Day), whip out Mario Kart 64, and get ready to party like it’s 1999. Although one could easily play for hours, it’s always nice to have a couple of different games on hand for your enthusiastic guests to choose from. If all of your buddies are busy working, look for the nearest video game-themed bar (assuming you're over 21) and head out to mingle among other comrades. Perhaps you’ll even make a couple of new friends! Whether you consider yourself more of a Luigi or a Nathan Drake, putting together the costume is half the fun. The other half? Showing it off, of course. Despite our increasingly complex tech world (although we don’t have flying cars yet), video games will never go out of style. They just keep getting better all the time. Playing video games is one of the best ways to pass free time. Granted, there are certainly lots of other activities available — but let’s be honest: Why would we even consider these, when video games are an option? Plus, the adrenaline rush we get by saving Princess Peach from the evil Bowser is incomparable. Believe it or not, video games can teach important life lessons. Many characters possess distinct personalities, relationships, and aspirations. You get to create their destinies through thought-provoking scenarios.